Berlin, 30 January 2019. TheBaltic Sea Philharmonic and Kristjan Järvi will begin their first major tour of 2019 in Palanga, Lithuania, on 11 March. The ‘Nordic Pulse’ tour will take the orchestra on to three European capitals – Riga (12 March), Tallinn (16 March) and Helsinki (17 March) – before concluding in St. Petersburg (19 March). The tour includes debuts for the orchestra in three distinctive concert venues: the state-of-the-art circular Palanga Concert Hall; the ultra-modern Mariinsky II, the newest part of the Mariinsky Theatre complex in St. Petersburg; and the Alvar Aalto-designed Finlandia Hall in Helsinki. 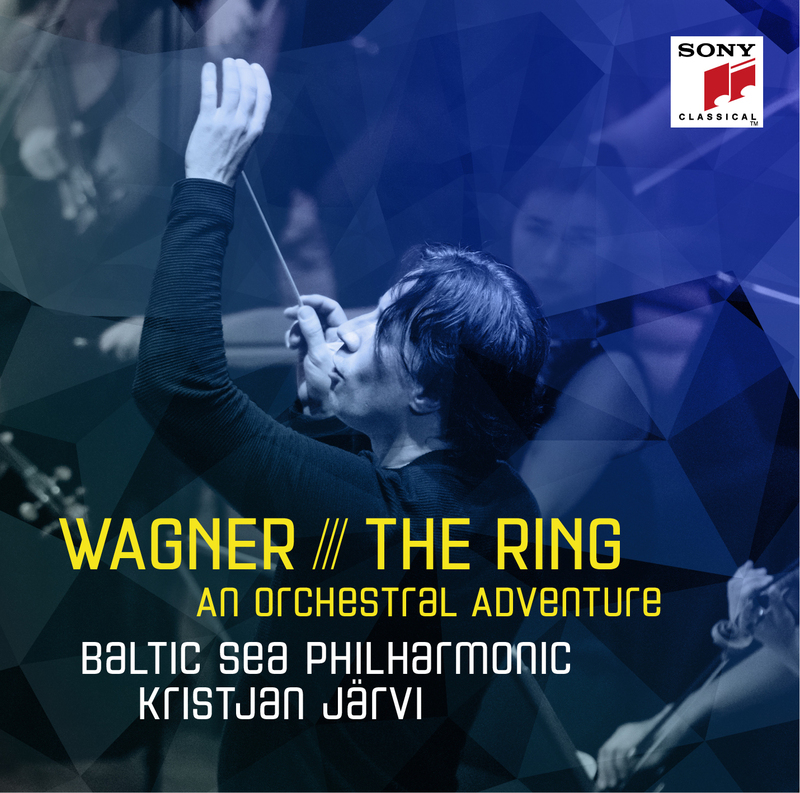 The ‘Nordic Pulse’ tour will also underline the Baltic Sea Philharmonic’s longstanding commitment to protecting the Baltic Sea environment, through a partnership with the John Nurminen Foundation in Finland and a special concert at the environmental forum Baltic Sea Day in St. Petersburg. Goethe-Institut supports the ‘Nordic Pulse’ tour through Lithuania, Latvia, Estonia, Finland and Russia. ‘Nordic Pulse’ is inspired by nature and the Northern Lights, as well as by the fairytale magic of Tchaikovsky’s The Sleeping Beauty. The programme includes Kristjan Järvi’s Aurora, a piece that captures the otherworldly beauty of the aurora borealis. Swiss violinist David Nebel will join Järvi and the orchestra to perform Pēteris Vasks’s meditative second violin concerto Vientuļais Eņģelis(Lonely Angel) and Gediminas Gelgotas’s 2018 Violin Concerto. Nebel gave the world premiere of the Gelgotas concerto with the Baltic Sea Philharmonic in July 2018 at the Kissinger Sommer Festival in Germany, and describes the work as ‘powerful and physical, but also very atmospheric, with an impressionistic feel about it’. The ‘Nordic Pulse’ tour will also feature the Baltic Sea Philharmonic’s debut collaboration with Estonian singer-songwriter Mick Pedaja. A performer whose ambient, flowing, electronic-enriched music is strongly inspired by landscape and nature, Pedaja released his latest album Avaimusin December 2018. He will open each ‘Nordic Pulse’ concert with a special performance alongside the orchestra. Ever since it was founded in 2008, the Baltic Sea Philharmonic has been committed to the environment, and especially the Baltic Sea itself. ‘This body of water is the engine of the whole Nordic region and must be cherished and protected,’ says Järvi. ‘It’s what gives us all the necessities of life. It’s why people settled around here, and it also connects us to all the other waters of the world.’ The ‘Nordic Pulse’ tour will underline the orchestra’s environmental vision in two significant ways. Firstly, in Helsinki the orchestra will support the work of the John Nurminen Foundation, with one Euro of every concert ticket sold going towards the Foundation’s projects to protect the waters of the Baltic Sea. Secondly, the orchestra will give a special extra concert in St. Petersburg on 21 March, at the grand, Rococo-style Catherine Palace with its famous Amber Room, for delegates to the 20th annual Baltic Sea Day, an international forum that focuses on ways to protect the Baltic Sea marine environment. The Baltic Sea Philharmonic regularly auditions the best and brightest young musicians from across the Baltic Sea region in order to renew and refresh the pool of outstanding players who perform with the orchestra on tour. In March the orchestra will run its Talent Tour 2019 alongside the ‘Nordic Pulse’ tour, giving musicians the opportunity to audition in Palanga (8 March), Riga(13 March), Tallinn (15 March), Helsinki (18 March) and St. Petersburg (19 March). A new two-stage audition process will feature both a solo round and the chance to join a full rehearsal with the entire orchestra. Full details are available online at https://baltic-sea-philharmonic.eu/talenttour2019/. The Baltic Sea Philharmonic’s second major tour of the year, ‘Midnight Sun’, will see the orchestra perform at the Berlin Philharmonie on 26 June and Hamburg’s Elbphilharmonie on 2 July. Kristjan Järvi will conduct the orchestra and Norwegian violinist Mari Samuelsen in a nature-inspired programme that includes music by Arvo Pärt, Max Richter and Stravinsky. Both concerts will be performed entirely from memory. And in September, Järvi andthe Baltic Sea Philharmonic will tour Italy and Germany with ‘Divine Geometry’, a new programme exploring the connections between Baroque music and American minimalism. Simone Dinnerstein will join the orchestra to perform Philip Glass’s Piano Concerto No. 3, and the tour will also include the German premiere of Steve Reich’s Music for Ensemble and Orchestra– a work that was co-commissioned by the Baltic Sea Philharmonic and theNew York Philharmonic, the Los Angeles Philharmonic, the San Francisco Symphony, the London Symphony Orchestra and the Sydney Symphony Orchestra.